Sassy Sites! : ...where children create! a world they had a hand in creating. 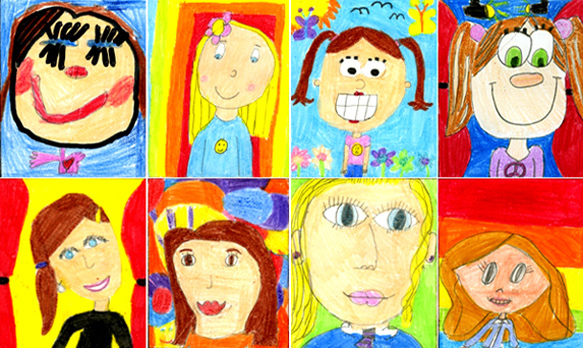 The International Children’s Gallery is a new online art gallery for displaying the artwork of children aged 0-13 years - a dedicated space for showcasing the imagination and creativity of our children, at home and at school. From drawings to painting, craft and poetry this lovingly curated gallery helps children to develop a new sense of pride about their beautiful work and to feel like a famous artist! Uploading artwork is quick and easy – you can upload photographs of your children's artwork 'in a jiffy', in just three simple steps, and they will be so excited to see their pictures in a gallery! Until now, the gallery has been open to kids in Ireland only. Created by Irish mom Michelle McInerney, out of a love for the joy and innocence of her own 5 year old daughter's drawings, the international gallery has now been born. "I hope that parents, fellow mummy bloggers :) and teachers from all over the world will embrace, support and enjoy this great project. Every child’s voice will be heard – no matter what the language."